Home||Uncategorised||We’re all different – doing what’s right not what’s easy. Do you remember having the traditional school summer photo? Outside on the field, smallest children on the front row on the chairs, boys in the middle, and tallest children on the back row stood on a PE bench? 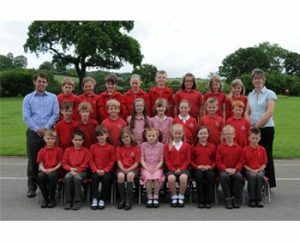 I had one ambition, throughout my school photo modelling career – and that was to get on the chairs at the front of the photo, but because I was the second tallest in the class I never made it! You only need to look at a class of children to spot the differences in height, weight and rates of development, even though they are all roughly the same age. It’s interesting that growth development charts in the UK show that at Age 6 a child will usually be between 15 and 30kg in weight and 103 and 129cm in height. That’s quite a growth range isn’t it? So why is it that when we get asked to transport our child’s class mates we assume that they all need exactly the same car seat? Vehicle seat belts are designed to seat a person who is 150cm in height, so often when a child sits on a booster cushion, the belt cuts into their neck and in a collision could cause some serious upper body injuries. This is because they aren’t tall enough yet to use it correctly. In a totally different debate, we would always recommend a high backed booster which guides the belt correctly across the child for this exact reason. Clearly we all like to be helpful and by offering a lift is one simple way we can do this, but are you confident that the seats are compatible with their weight and height as well as your car and will it protect someone else’s child at that unthinkable moment? Realistically, we are a nation of good and safe drivers, if you think about the number of journeys made every day by how many people, in comparison to the number of people injured regardless of their age. We cope with our built environment very well. However, as we can never predict which type of collision we are going to have, at what speed, how many passengers we have on board and who’s off-spring they are. It really isn’t worth risking it is it? Schools need to seriously think about what they are asking when they send out a plea for help on transporting children to trips, sporting events etc. Who is ultimately responsible for that childs safety? 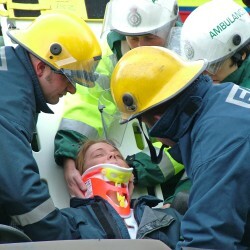 Under the Road Traffic Act, the driver is responsible and they have to ensure that an appropriate / suitable restraint is used. That means it is correct for that child and suitable for the vehicle. So what if you are the one being offered the lift for your child ? Without wanting us to clearly stop our children attending these life enhancing events, you may just want to think who is driving your child? Do you know they are using the correct seat, are you happy where your child is sat in the car? Sadly, children aren’t keen to tackle another child’s parent about their driving skills or the seat they have been offered, if there is one at all? I recall having a conversation with one parent who said, she could clearly remember the journey to accident and emergency after getting the call that her child had been involved in a “bump” in another parent’s car and thinking “was my child on a car seat, where they sat in the front seat, should the airbag have been off? What have I done! ?” She clearly didn’t want any other parent to go through that awful roller coaster of emotions like her. 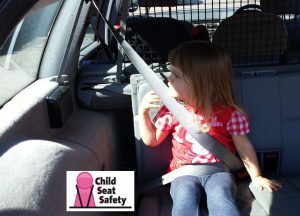 At Child Seat Safety, we would like to see all local authorities have a policy on transporting other people’s children which covers these types of journeys and gives good guidance on what parents should consider before agreeing to help out. Surely it’s better to do it before it’s too late? So please, do what’s right, not what’s easy.